We strongly encourage all families interested in learning more about Deer Crossing Camp to attend a camp slide show prior to enrolling your camper. Slide shows are an excellent way to learn what makes Deer Crossing such a special place and to ensure it’s a good fit for your camper. The Camp Director or an experienced staff member leads each slide show. Seating is limited, so call 650-369-4382 or email the camp office to reserve seats and get the location address. Invite your friends and neighbors to a camp slide show in your home! We’ll work with you to host a gathering at a mutually-convenient date and time, and be there to lead the slide show and conversation. Let us know if you’d like to talk by phone with the parent of a Deer Crossing camper. Our parents are happy to share the fun their camper had as well as what they learned at Deer Crossing Camp. 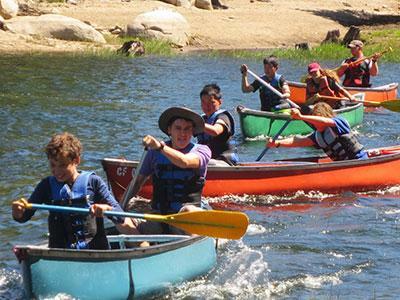 Call 650-369-4382 or email the camp office for reference contact information.